A Private Tour with Gerry Dawes, guidebook author, wine & food writer, & expert on Spanish wine, gastronomy and culture, who has been traveling in Spain for over 30 years and was a recipient of the Spanish National Gastronomy Prize in 2003. Pricing: $4,495* per person* (double occupancy), $4995* (single occupancy), which does not include airfare, since most travelers will want to arrange their flights using frequent flier miles or via the internet, where fares are often cheaper than group fares. 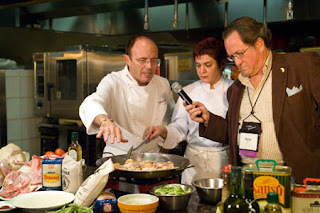 Accommodations will be in excellent four-star hotels and paradores. 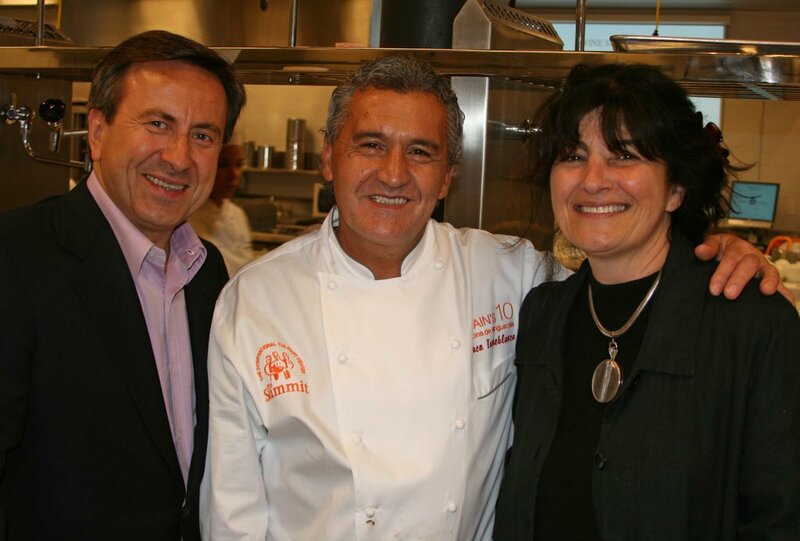 At least two meals, sometimes three per day, including breakfast, designated multi-course luncheons/dinners and tapas meals will be included in the price (see meal code). 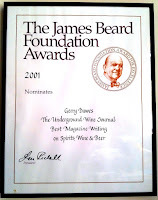 All main meals include wines selected by Gerry Dawes. In-country transportation will be by comfortable, roomy, air-conditioned bus. *$250 discount for payment in full by certified check or money order at time of booking. 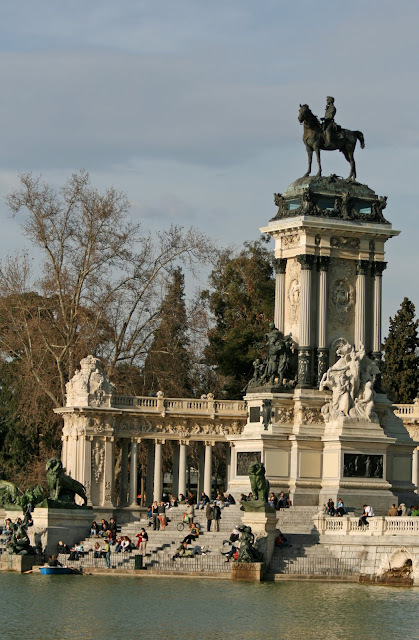 Each tour member should take a taxi (approx $40) or group van ($50 total for up to 5-6 people, depending on luggage, for all, plus a small tip) in to Madrid to our hotel, the Lope de Vega, which is just across the avenue from the Prado Museum. Free morning and part of the afternoon to get over jet lag, shop, visit museums, etc. 20:00 Meet in hotel lobby. Short walk to a great old Madrid taberna, where we will have an orientation session. 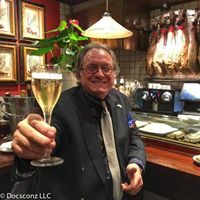 21:00 - We will stroll through the old quarter of Madrid and the Plaza Mayor, then have dinner at a typical Castilian Tavern, dining on such specialities as jamón ibérico, asparagus, roast suckling pig or lamb, lamb chops, etc. and plenty of good Spanish wine. Day & afternoon free for visiting museums, shopping, etc. 21:30 - Dinner at one of Madrid’s top restaurants. As an option, we may sample some of capital city’s “movida” night life. In the morning, we will leave Madrid by bus to visit the magnificent town of Toledo, where El Greco painted so many memorable canvases. 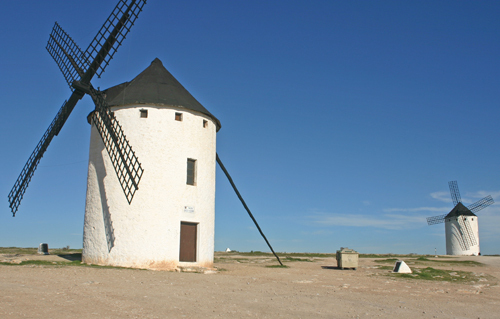 We will have lunch at the restaurant of a very special chef who has his own vineyard, then drive through Don Quixote country, stopping to see the windmills above the saffron-producing town of Consuegra and for a drink at the Venta del Quixote in Puerto Lapice. 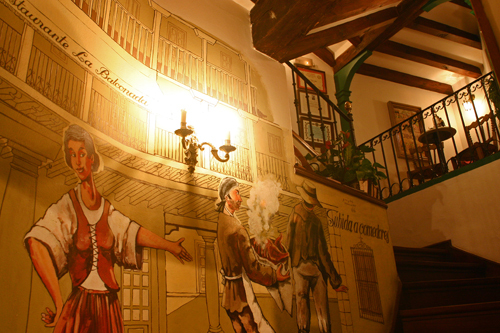 We will spend the night in Almagro, which has Spain’s best preserved Golden Age theater. The 16th-century teatro was host to many of the Spanish Shakespeare, Lope de Vegas’s plays and is still used for performances today. Evening free to explore this charming, easily walkable old town. 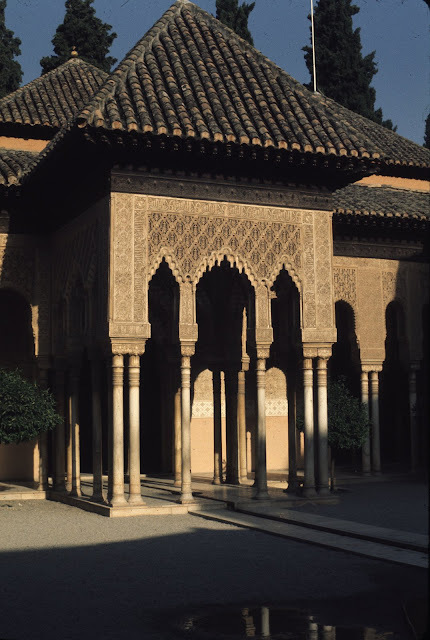 In the morning, we will leave Almagro and drive to Granada, where a guide will lead us through one of the world’s greatest monuments, the Alhambra, the Moorish palace of legend. We will then visit the Generalife palace above the Alhambra and stroll the gardens. Lunch will be at a special Granada restaurant, whose chef did a part of his apprenticeship at Restaurante Daniel in New York. 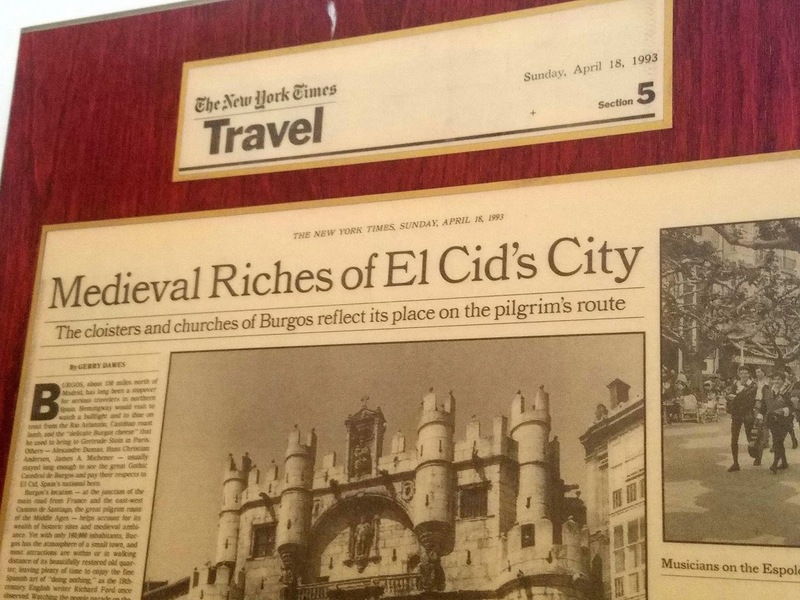 In the afternoon, we will visit the Cathedral and the Capilla Real to see the tombs of the Catholic Kings Isabela and Ferdinand, who drove the Moors from Spain and sponsored Columbus’s great voyage of discovery. In a small museum, alongside the tombs, we will see the exquisite collection of Flemish miniatures that belonged to Isabela and were hidden from view for centuries. Later, we will stroll through the labyrinthine streets of the Albaícin, the ancient Moorish quarter. In the early evening, there will be time to relax before an optional stroll to the Campo del Principe, which has a dozen tapas bars, where we can try the hams of Trevélez, which are cured in caves high up in the Sierra Nevada mountains that soar above Granada. Those still game may want to go to the gypsy caves of Sacromonte to watch a colorful gypsy zambra dance performance. After breakfast, we will leave Granada and drive through the Andalucian countryside, visit a couple of unique white towns, arriving in time to explore the spectacular town of Ronda, a former mountain bandit stronghold and Hemingway favorite, which has one of the oldest, most beautiful bullrings in Spain. 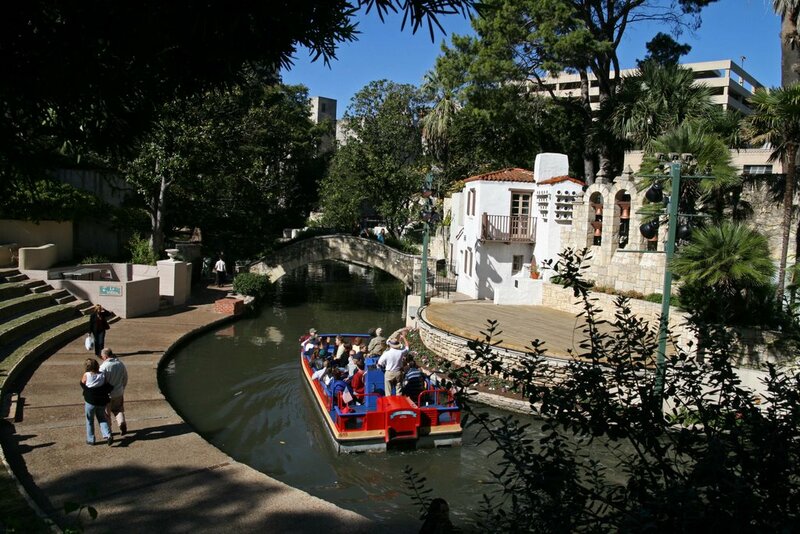 This town, which sits astride a 300-foot deep gorge, is like a set from Carmen. In fact, the Carmen opera movie was filmed here. At the end of an exhilarating day, we will have dinner across from the historic bullring in an ambience-filled restaurant, itself a bullfight museum. What a fabulous day we have ahead of us. In the morning, we will leave Ronda and drive through the unique pueblos blancos, the stunning white mountain villages of Cádiz province, which are among the most striking and beautiful in Europe. We will stop for lunch on delicious trout plucked from the southernmost trout stream in Europe - - cooked with a slice of superb mountain ham tucked in its belly. 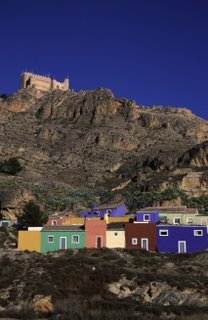 After visiting some of the most wonderful villages in Europe, we will end up in the lovely, but little-visited, African-like city of Cádiz, which is surrounded on three sides by the sea. The afternoon and evening will be free for exploring this marvelous walking city of narrow streets and elegant 19th-Century buildings. 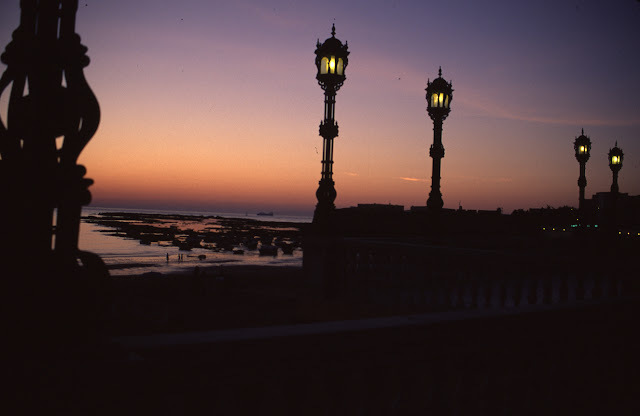 Cádiz, the oldest continually occupied city in the western world, is a superb town for chilling out. You may want to take a carriage ride around the city, where the views and sunsets from the esplanades are truly splendid. 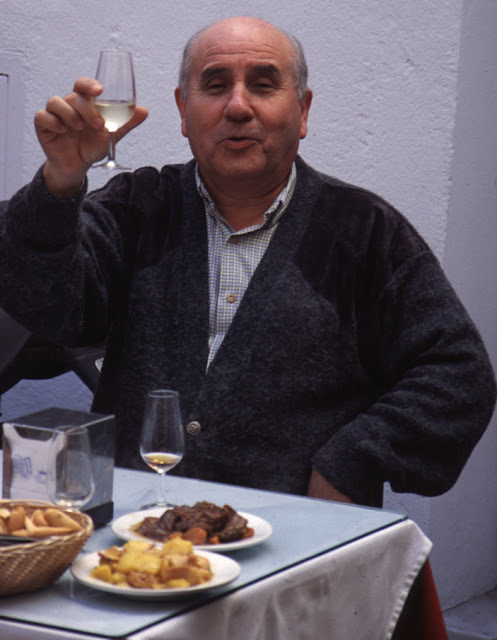 Those still game are invited to join an optional tapas hopping tour of the city. In the morning, we will visit Cádiz’s fine provincial museum and tour the colorful market, then take a short ferry ride across the bay to El Puerto de Santa María for a great casual seafood and fish luncheon, where we will buy pre-cooked shellfish by the kilo at one place, superb freshly fried fish at the other, then spread it all out at tables under the archways, order big salads, El Puerto’s excellent, light, dry fino Sherry and/or good Spanish beer. After lunch we will return to Cádiz, where the afternoon is free for strolling, lollygagging, and, of course, the optional siesta. You will want to take in the sunset from the beach near our hotel. 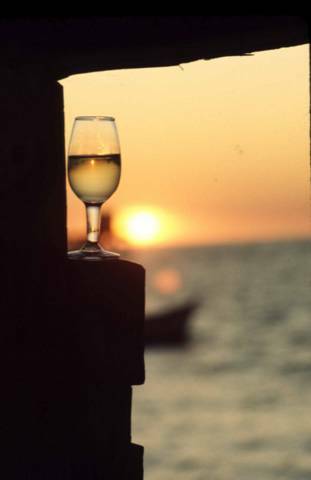 If it is a good day, sunsets here can be unforgettable. 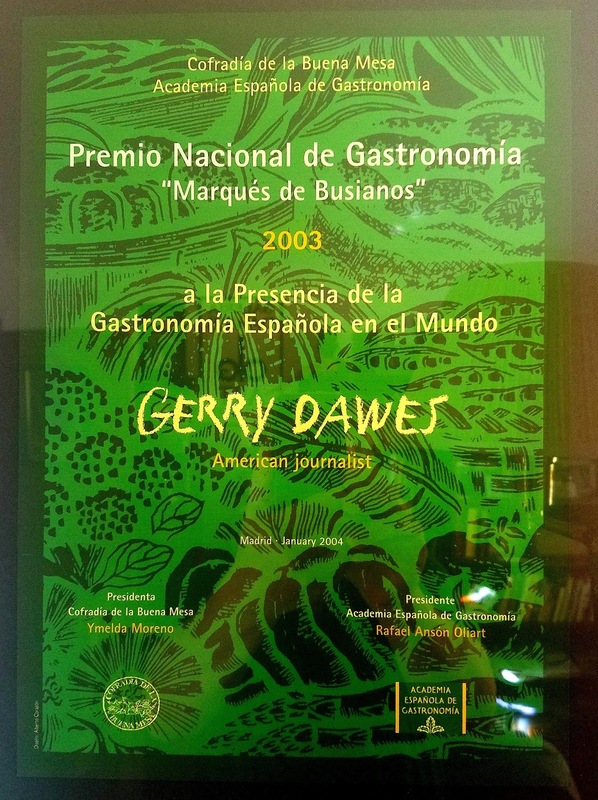 Dinner will be at one of the best restaurants in southern Spain. 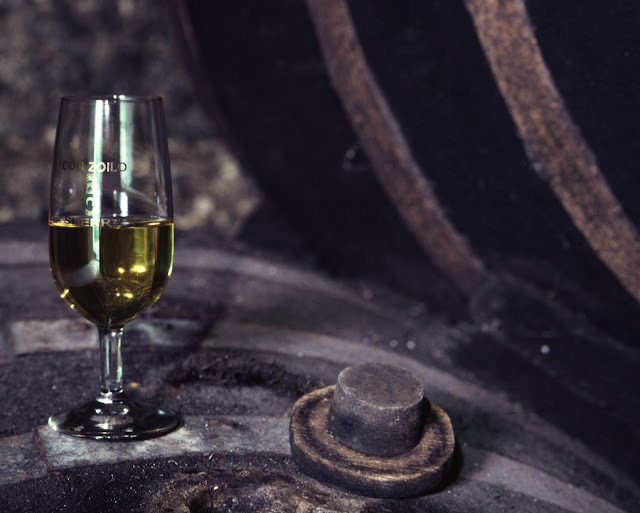 We will leave Cádiz by bus in the morning, tour one of Jerez’s magnificent, colorful, exotic sherry bodegas, the Saturday morning market in this wonderful sherry town, then take a short ride to the sherry town and fishing port of Sanlúcar de Barrameda. 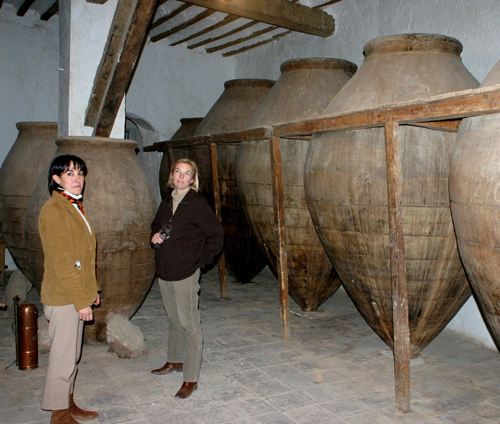 In Sanlúcar, we will meet a top sherry producer and have a splendid seafood luncheon with Sanlúcar’s unique, ethereal, manzanilla sherry in a one of Spain’s greatest traditional cuisine restaurants on Bajo de Guia beach, which overlooks the Guadalquiver River. 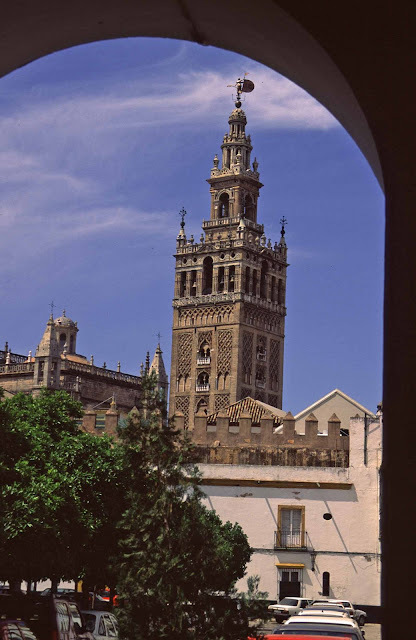 In late afternoon, we will arrive in one of Spain's loveliest cities, Sevilla, the city of Carmen. Optional tapas hopping tour of Sevilla in the evening and optional flamenco show in a town where everyone is a flamenco dancer. Afternoon free for shopping, sightseeing, siestas. Dinner in a colorful Sevilla restaurant. We leave in the morning for a picturesque hour and a half ride to the great old Roman, Moorish and Jewish city of Córdoba, once literally the greatest city in Europe. Home of a magnificent Roman bridge, the legendary Mezquita (Moorish mosque), the atmospheric old Jewish and Moorish quarter, flower be-decked patios and much more, Córdoba lives up to its billing as one of the most memorable, historic and exotic cities in Spain. We will arrive at our hotel, located in the old quarter, check in, then take a guided tour of Córdoba, then have lunch with Montilla (the dry sherry-like wine of Córdoba) in a lovely ancient house owned by a superb old quarter restaurant with a first-rate wine list (the wines are kept in an old Roman cellar). The rest of the afternoon will be free to explore this charming old city with optional tapas at a legendary Cordoba tavern-tapas bar and perhaps serendipitous flamenco. 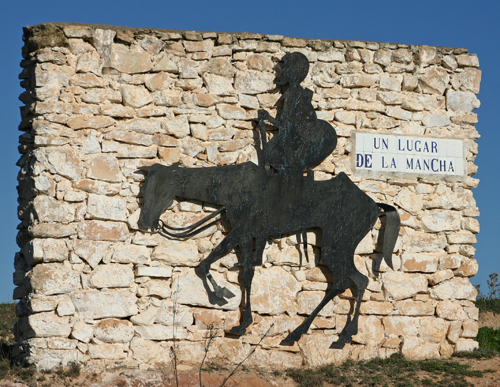 We will leave Córdoba in the morning, drive through parts of La Mancha we missed on the way up, with a few tapas stops along the way, then arrive in the magical 16th-century town of Chinchón, which looks like something right out of Cervantes. 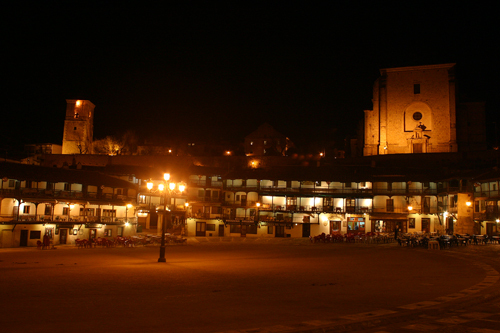 The town square is surrounded by balconied, half-timbered buildings and many of the buildings house picturesque restaurants serving superb regional cuisine. 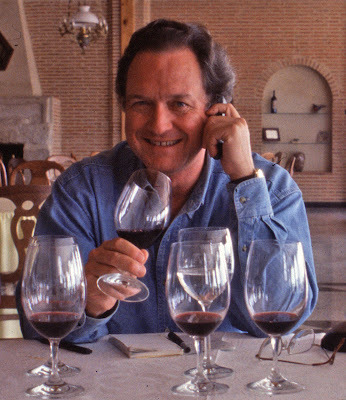 We will have a leisurely farewell lunch with local wines, then drive into Madrid, where a light dinner at an old quarter restaurant is optional. Flights from Madrid to U.S.
End of tour. Option of more days in Madrid and other Spanish cities. 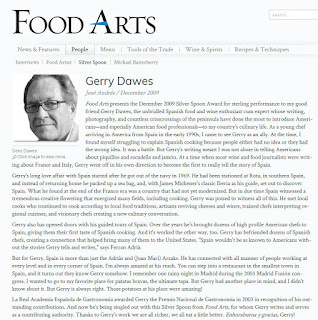 All photos are copyright 2006 by Gerry Dawes and may not be reproduced without permission. San Antonio New World Wine & Food Festival (Nov. 6-12, 2006; dedicated to Spain ). 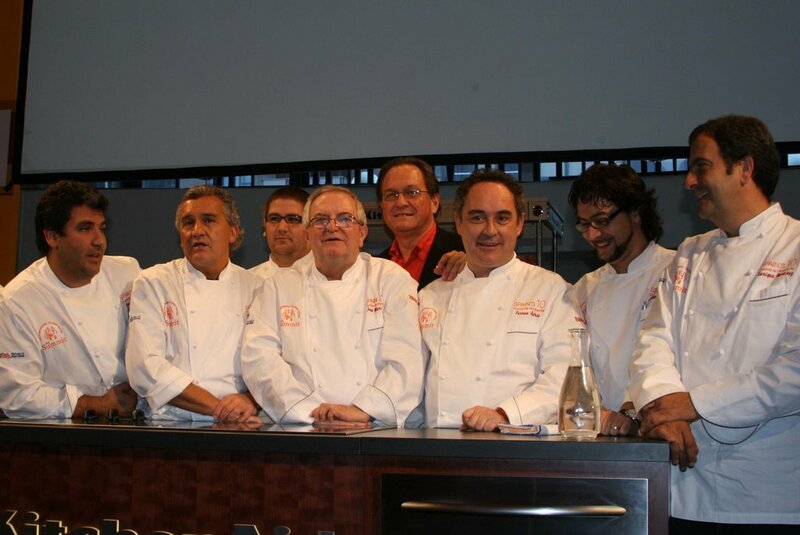 Seminar presenter, Spanish co-ordinator, emcee & guest speaker at gala auction dinner. 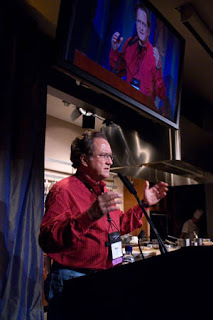 CIA-Greystone, Napa Valley (Nov. 1-4): Five seminars with Power Point presentations on Spanish regional gastronomy, cheeses, wines, etc. 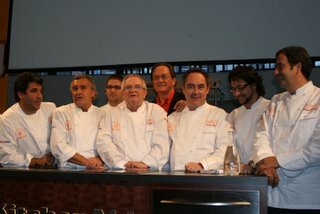 at the most important Spanish gastronomy conference ever held in the United States. 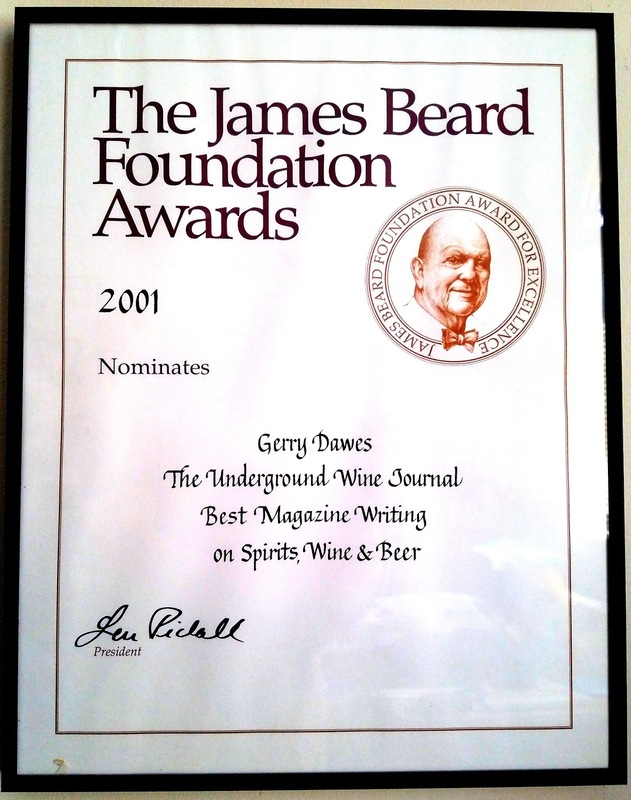 Also see Videos of Gerry Dawes speaking on Sherry at CIA-Worlds of Flavor Conference 2003. 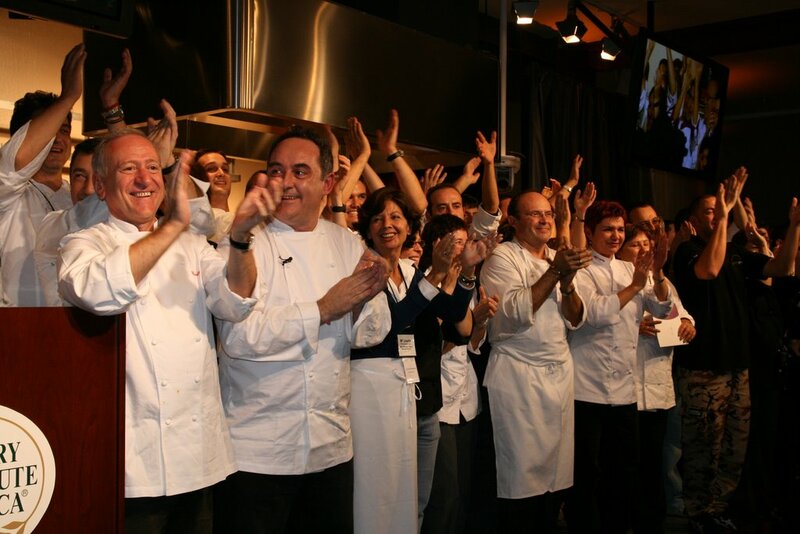 <>Spain's Ten Conference (New York City, Oct. 13, 14, & 15): Emcee & presenter of chefs at a day-long event featuring ten of Spain’s greatest chefs and the most important Spanish gastronomic event ever held in New York. 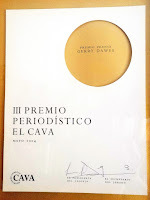 Over the past few years of sipping Cavas in some of Spain's top restaurants, it has become increasingly apparent that a number of the country's smaller producers are bottling some absolutely superb sparkling wines. 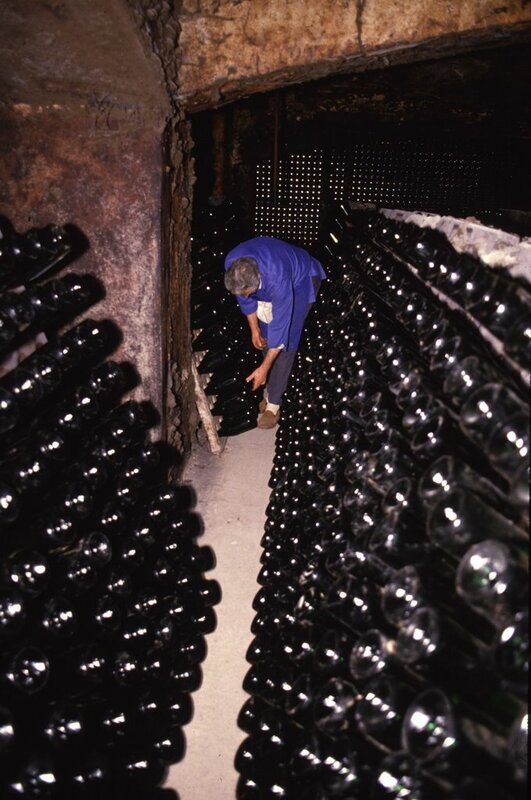 By contrast, not too long ago, Spanish sparkling wine was little more than quaffable, mass-market bubbly widely available at bargain prices. 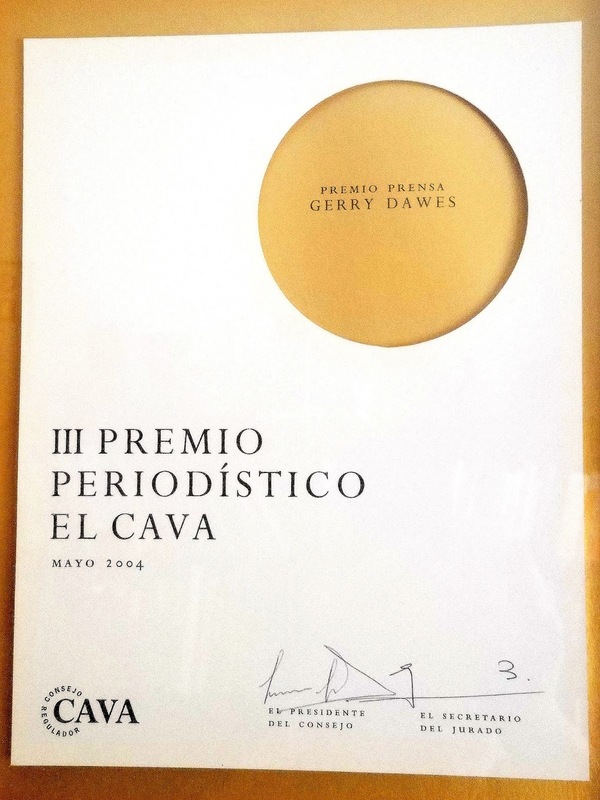 While that still holds true for a large percentage of the staggering ten million-plus cases of Cava exported each year (another eight million-plus cases are consumed in Spain), during the past ten years — hand-in-hand with quality advances on the country's wine and gastronomy fronts — a number of Champagne-quality Cavas from a wide range of producers have emerged. 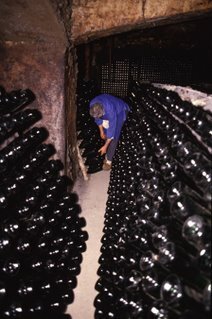 Some of these exceptional wines are vintage dated, prestige brut cuvées; bone-dry, palate-cleansing brut natures (great with shellfish); and an increasingly impressive group of sparkling rosados (rosats in Catalan), some made with pinot noir, others with indigenous varieties such as trepat, monastrell and garnacha.